Finding that “perfect house” is a huge investment of time and money. Just finding one that meets your eye can be a long, painstaking process. But even the “perfect house” can come with hidden issues that can be very costly. Our role is to find those issues and give you a clear picture of the property you are considering. We really enjoy helping our clients in this process and are fully dedicated to delivering the highest level customer service. If at all possible, it is recommended that you come to the inspection. Many times our customers have only briefly been inside the properties, and some have only seen them online. This is a good chance to walk around, measure, and plan the perfect arrangement of your furniture. We are there to give you the full picture of the house, both its strengths and weaknesses, so feel free to bring up any concerns you have about the property. 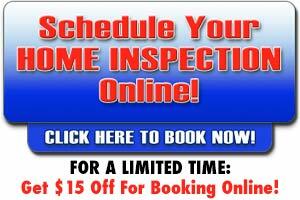 This will help you to get the most benefit from the inspection and gain the most understanding of the systems that make up your home, and how to maintain it. We review our initial reports with you onsite, pictures included, and usually you have the report in your inbox within a few hours of the inspection. Our reports will contain, pictures included, every condition we identify, and we are continuously available by phone and/or email to answer any questions you have in the future.